S/Sgt. Homer G. Young, entered Army in March, 1941, trained in Ft. Sill, Okla., Ft. Ord, Cal., Camp Van Dorn, Miss., Camp Maxey, Texas, Boston, Mass. 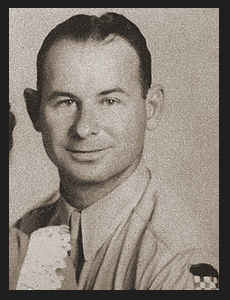 ; served in the European Theatre; was Prisoner of War four and one-half months; was discharged in Oct., 1945. Awarded EAME Ribbon with three Battle Stars, Good Conduct Medal.